Continuing on her campaign trail, Hillary spoke at a community center this week in Haverford, Pa, where she shut down Trump’s body shaming again. She had already called him out in a campaign ad for making literally every woman feel like crap, but she continued the dialogue this week and stood up for women everywhere. Another week, another little girl tearing into some sort of injustice for babes everywhere. A video of Brooke Blair went viral this week with her tearing into Theresa May, the UK Prime Minister on the topic of the state of homelessness in the UK. Loey Lane is a fashion vlogger who a lot of people know for she posting a video of herself wearing a bikini that inspired by Ariel from The Little Mermaid. Relatively unknown to people outside of Haverford before this week, Brennan Leach made herself known to the world this week when she pointed out the damage that Donald Trump has done to normal girls at her school. The 15-year-old asked Hillary Clinton to help girls to realize “that they are so much more than just what they look like”. Fadumo Dayib should be an inspiration to women everywhere – she’s Somalia’s first female presidential candidate and she used to be a refugee. She has two master’s degrees including from Harvard in public administration, stands up for women’s rights and has lived to tell a ridiculous number of tails. Fadumo Dayib is now returning to Somalia to run for president, after feeling she “had to do something” for her country. 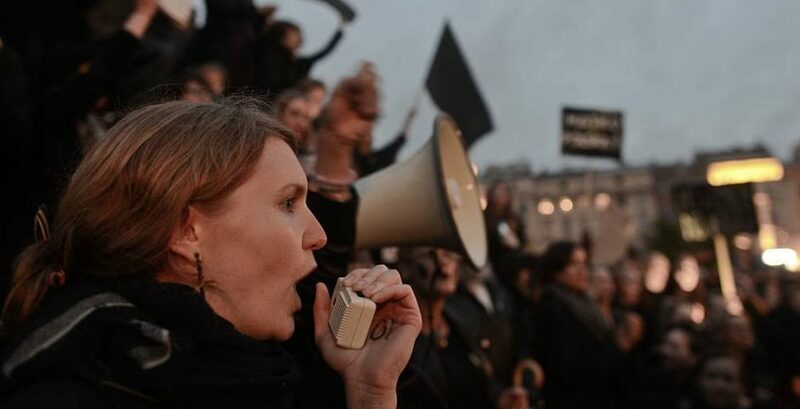 This Monday was Black Monday in Poland as thousands of women dressed in black took to the streets of over 60 Polish cities to protest planned abortion legislation. Building on their already strict abortion laws, the Polish government announced proposals to ban abortion which led to the strong women of Poland protesting their government’s decisions. Love her or hate her, Demi’s back with more stick for fellow celebs, but it’s all pretty true and she said everything she had to say with fervor. She also hit back at the haters on Twitter, later announcing she would be leaving Twitter altogether.